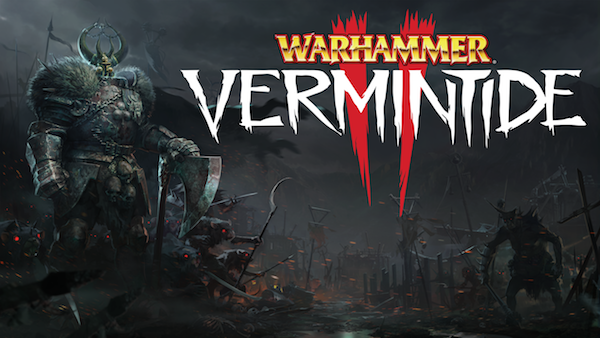 Vermintide 2 is a visually stunning and ground breaking melee action game pushing the boundaries of the first person co-op genre. Set during the apocalyptic End Times of the Warhammer world – the game introduces the dark, bloody and twisted forces of Chaos as an enemy faction. Other new features include 15 hero careers, new environments, talent trees and the proprietary Heroic Deeds System. Warhammer: Vermintide 2 is also coming to Sony Playstation 4 and Xbox One, the all-in-one games and entertainment system from Microsoft. Console BETAs will be available during the spring. The 5 heroes have returned to take on an even greater threat during the End Times - the combined forces of the cowardly Skaven army and the barbaric Chaos faction. Prepare to be challenged like never before as you and your team desperately try to survive the never-ending hordes of enemies. Choose between 15 different careers, climb the talent tree, and customise your weapon arsenal to fit your unique play style as you fight your way through 13 stunning levels. The only thing standing between utter defeat and victory is you and your allies - if you fall, so will the Empire.